Walter Saunders is a Kilkarer/Gilgara man of the Gournditjmara Nations. 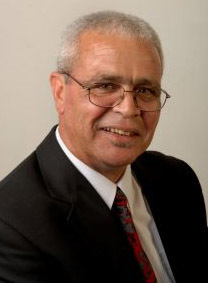 He serves on the Australia Council’s Indigenous Arts Industry Reference Group. He was the inaugural director of the Indigenous branch of the Australian Film Commission, the director of First In Line, SBS 1988, the general manager of Ibijerri Theatre Cooperative, Melbourne 2001-2002, and a finalist for Australian of the Year 2005.